Bee Friendly Apiary sells its small batch honey in beautiful classic jars that accentuate your kitchen. Our gabled-roofed hives lend an attractive presence to any property. 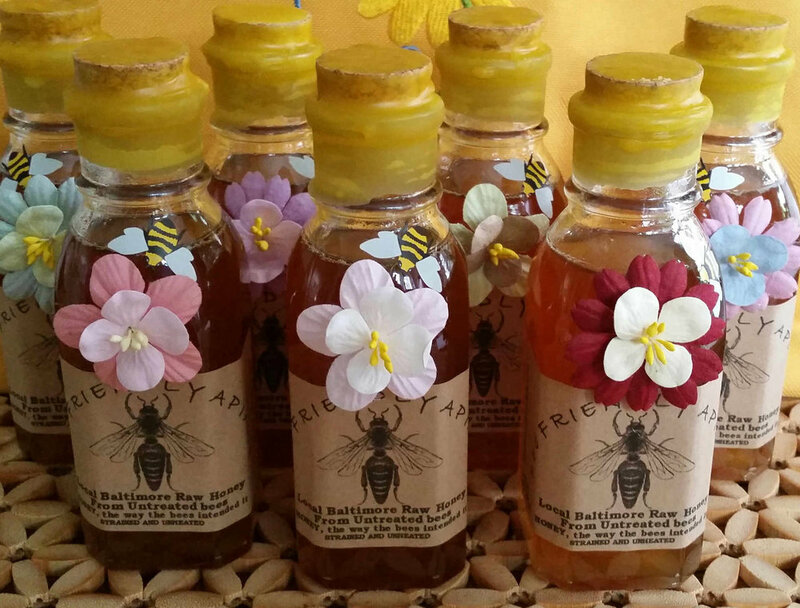 All of our hive products are from local nectar sources. Honey, propolis, and bees wax are all part of our product line. We also make wood products for the residential beekeeper. Integrated Pest Management (IPM) is our way of helping our bees stay healthy. We proudly hand make ventilated gabled top covers. These tops allow for good ventilation of excessive moisture throughout the year, especially during the critical winter months. Our gabled top covers also add a beautiful unique look for any hive as well as providing a secondary entrance/exit for the bee colonies. Each top is covered in aluminum to protect the hive from the elements for a long lasting product. Contact Bill for ordering or additional information.